The following videos are designed to help you strengthen your ability to effectively lead and support your team, as well as sustain yourself, during times of change and transition. Please watch the videos in the order they are presented below. Allow some extra time to reflect on the material and do the activities that are presented. Change and transition are different animals. Learn the distinction and get an introduction to the three phases of transition that you and your team will experience. Learn why every transition starts with an ending. 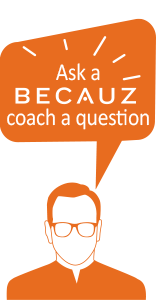 Consider questions that will help you personally, as a leader, work through this phase. Learn about the confusion and frustration that typically occur in this phase and how to weather this storm to get to the final stage of transition. Consider ways to tap the positive emotions and new energy that emerge in this final phase of transition, both for you and your team. What is the role of a leader in times of change and transition? Learn how to best guide and support your team through the three phases of transition. First, the Endings phase. 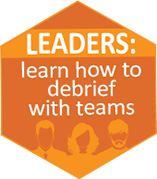 Learn how to help your team deal with the confusion that’s natural in this second phase, plus start looking at the possibilities and opportunities ahead. This is the phase you’ve been waiting for. Learn how to clarify and bolster your team’s purpose, direction and strategy to deliver on the new beginning. Spend time on a fun, creative and thought-provoking activity. You’ll map your life journey, focus on a key transition in your past, and reap the benefits of hindsight.